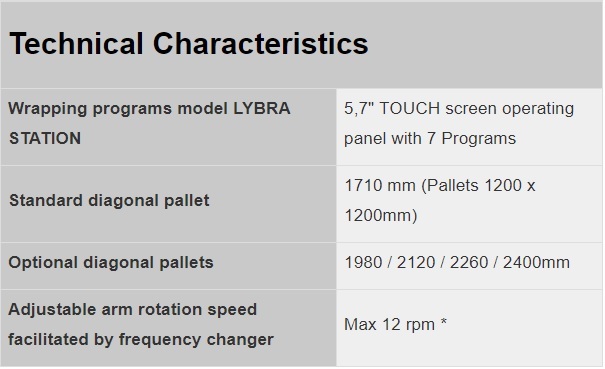 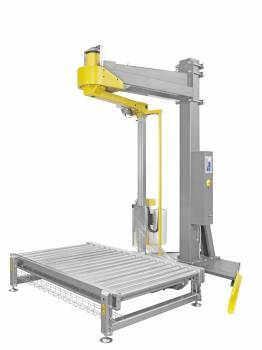 The Lybra, automatic, rotating arm pallet wrapper offers a new range of solutions for those customers needing to wrap very light, unstable loads where a rotating turntable machine is inappropriate. 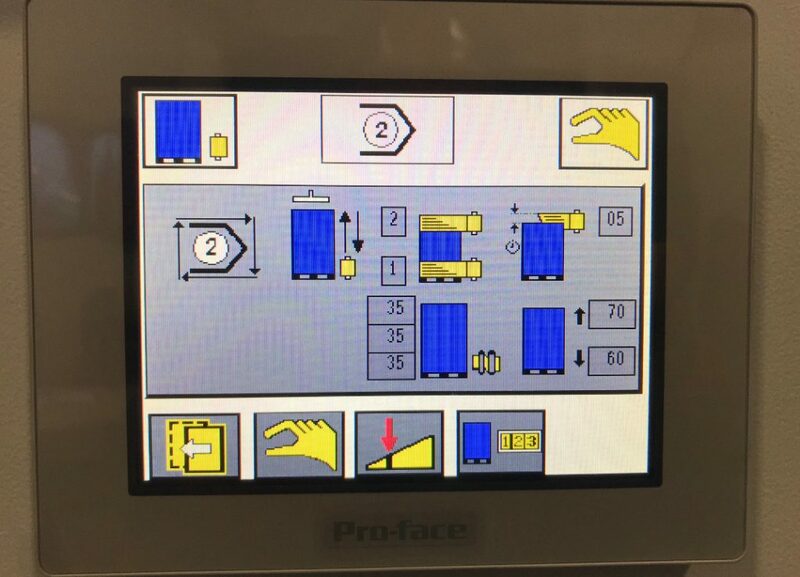 The standard machine comes with parameter adjustments for arm rotation speed, independent carriage speed up and down, independent film tension going up and down and selectable reinforcing wraps. 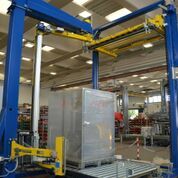 Auto film grab and cut off at the cycle end can be enhanced with film tail welding if required.